Life is easier when you don’t need to keep track of all your online credentials. 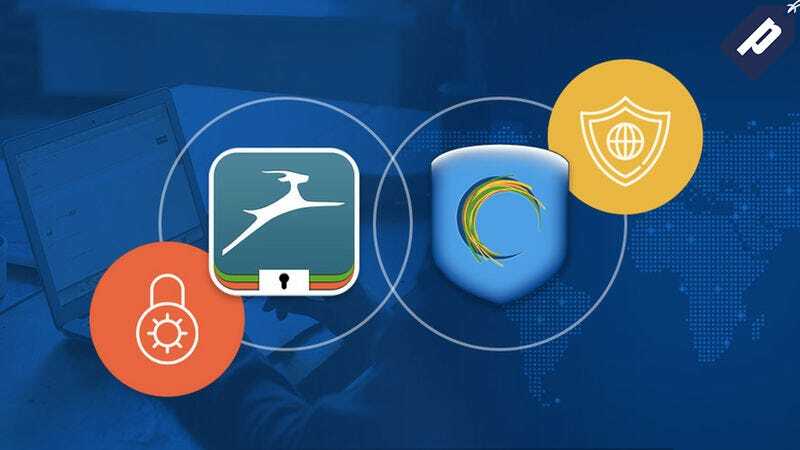 Dashlane is PC Mag’s #1 rated password manager, and you can get a 3 year Dashlane Premium subscription + Hotspot Shield’s Elite VPN for just $69.99 - 60% off retail value. Dashlane saves you time and hassle by automatically filling in passwords and credit card numbers, which are safely stored with military grade encryption. The premium version lets you sync your account across all your devices so you can easily login to any of your accounts from anywhere. You’ll also get three years of Hotspot Shield Elite VPN (4/5 stars on PC Mag), so you can browse the web anonymously and access geo-restricted content from anywhere. A Dashlane Premium account would normally cost you $40 / year, and Hotspot Shield would run you another $30 / year. Get three years of both today for just $69.99 - hit the link below to learn more.